Mali’s top court confirms Keita as presidential election winner – Royal Times of Nigeria. 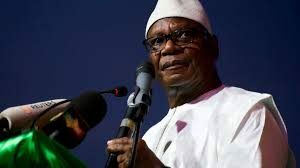 Mali’s constitutional court on Monday confirmed President Ibrahim Boubacar Keita’s re-election in a run-off ballot, rejecting fraud accusations by the opposition candidate. The decision clears the way for Keita to be inaugurated next month for a second five-year term, at a time when Malian authorities are contending with rising violence by jihadist groups and ethnic militia. Challenger Soumaila Cisse had contested the electoral commission result of the August twelfth vote, which showed Keita winning sixty-seven percent. The election was tainted by armed attacks in the centre and north, where hundreds of polling stations remained closed, and a turnout of only thirty-four percent reflected fears of violence as well as voter apathy. The European Union observer mission and other local and international monitors however said that, despite a number of irregularities and disruptions, they saw no evidence of fraud.